Just for a change from the usual, I baked some savory muffins instead this time. 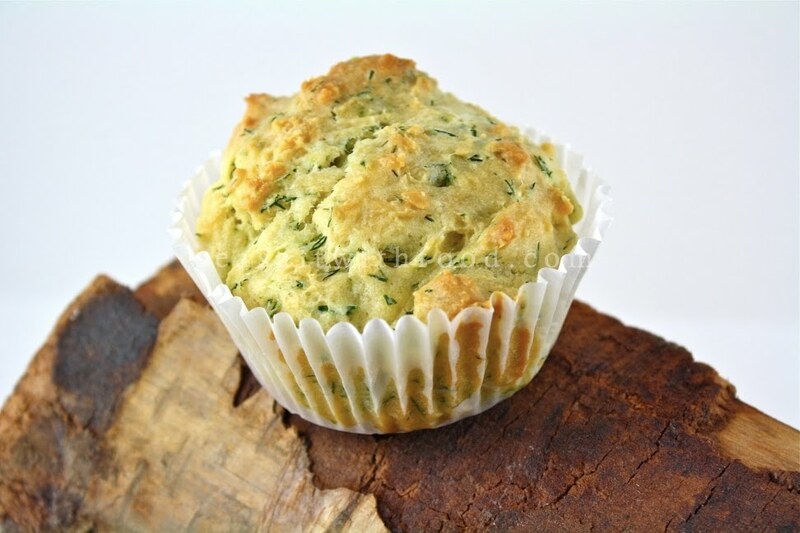 These Sour Cream and Dill muffins makes a great breakfast treat. I would suggest baking the muffins a day ahead before serving as this will allow the flavor to develop and they taste so much better the next day. Then, lightly toast the muffins before serving with some butter or cream cheese. Try it. Preheat the oven to 350˚F. Butter and flour the muffin cups. Combine the flour, baking powder, baking soda, and sea salt in a large bowl and gently sir together. In another bowl, combine the chopped dill, eggs, melted butter, sour cream, and milk and whisk until the mixture is well combine. Then, pour the wet mixture into the flour mixture and gently blend together to form a soft dough. Divide the batter evenly between each muffin cup and sprinkle some dill seeds on top, if desired. Bake the muffin for about 20 to 25 minutes or until the tops spring back when gently touched in the center. Remove the pan from the oven and place on a cooling rack. When the muffins are cool, turn the pan upside down and tap the corner of the pan on the countertop to release each muffin. These muffins will last up to 1 week if well wrapped and store in an airtight container, then refrigerated as soon as they are cool. Great idea - I am definitely more a savoury person than sweet so these muffins would be perfect for someone like me. I love savory muffins and this is a great combination! I might try this as a bread with some zucchini grated in it. Can't wait! I can't wait to make these....I'm waiting for the next cozy-kind-of-day to do it.